Silver Princess tells the story of a young fairy princess, plunged into adventure, who must rely on lessons learned from other’s experiences. What lessons will this adventuresome princess find in the lives of others? To give us a taste of the adventures that await in ‘Silver Princess’, its author Lea Carter has set aside a little time to chat with me today. Lea, thanks for sparing a little time to chat with me about the world of this fairy princess. I’m quite eager to find out how this fairy tale came to life, can you share how ‘Silver Princess’ came to you? Everything in life is more exciting if you add wings! Apart from falling off a horse, was there any other experiences in your life that you tried to capture in this book? A few, but also on my perception of how life is for royalty. That is an interesting perception to explore through your characters. How did your royal, and non-royal characters come to life? Once I named the main character after my best friend, it was kind of easy. I knew she’d have parents and I wanted her to have a best friend. It was only logical that there would be a chief of security, etc. I suppose I’d say they arrived as needed. And as these characters arrived, did you find that they had a message to share with your readers, and if so, what was the message you hope readers take away? That we’re all useful. That we can each rise to the occasion. That we’re never really alone. What have you loved about rising to the occasion and getting this book out on the digital shelves for readers? Finishing it! This is the first story I have ever finished. You must have learnt so many things by getting this first story published! Looking back, what do you feel was the biggest thing you that you learnt from going through the entire process from writing, editing, publishing and now marketing? I’m still learning from it. People want detail, but not fluff, for example. Detail is a great area for an author to work on with each new work they create. What are you currently creating where you can apply your new attention to detail skills? I’m currently working on books 8 and “0” (a prequel) for this series. Heartwood (bk 7) is just waiting on my timeline and a cover for publication. Wow, you’ve been busy perfecting your detail skills! What do you love most about writing that has drawn you back to write 9 books in this series? Why do keep coming back? To have adventures that I couldn’t possibly have otherwise. To explore my own feelings, test my presumptions, and because it’s the only way to get the stories to leave me alone. That’s a lot of different things to cover in a single adventure. Do you find that you do a lot of planning, and know the ending so that you can make sure that the stories are written well enough so that they leave you alone? Oh, I definitely have an idea of how it will end. That helps me as I write, because I know I’m going from the proverbial Point A to Point B. How we get there? Well, that’s the fun part. And there any practices or techniques that you use to help you get from Point A to Point B? The only technique I really have is to try to write 3,000 word chapters, give or take. I’m learning, though. Learning to ask myself if a scene is adding to or distracting from the overall plot, etc. That sounds to me that you’ve moved a step of the editing process into the writing stage. What does your overall editing process look like? I type carefully, then submit the completed manuscript to a handful of trusted beta readers. When they agree it’s got the kinks ironed out, I’ll pass it along to an editor, who corrects punctuation, spelling, verb usage, etc. Finally, I hunt for a brand new beta reader, hoping they can help make sure the book is ready to be read as a standalone. This is my ideal plan, which I’ve only recently implemented. I’m afraid the first several books are probably best read as a series. Looking back from those first few several books to now, do you feel that your author voice has improved? I really don’t know. I haven’t stressed over this because I know I’m still growing and changing as a person, so therefore, also as an author. Does this also mean that you haven’t spent much time stressing over your author brand? No, I really haven’t. I’ve even struggled with what kind of fantasy I write. For quite a while, I thought it was “light” fantasy; then I realized that Harry Potter was listed in that category in some places. I think I’ve finally settled on “wholesome fantasy,” but I don’t know that I would consider that a brand, so to speak. I wouldn’t really call ‘wholesome fantasy’ an author brand either, but I would call it a style, so maybe you’ve spent more time developing your author style or author voice than you think you have. As you don’t have a strong brand or voice that you’re writing towards, I’m curious to find out what you do have in your mind when you’re writing. Who or what is your focus? My mother, usually. I know if she wouldn’t approve, I shouldn’t even be thinking about writing it. I also know she’s my staunchest, most loving supporter. Mum’s are great for making sure that you don’t get yourself into big messes! Other than sticking to writing that you can show your mum, what tips do you have for other authors? Never stop reading. Worry about getting the story out, not about getting it out perfectly. Trying to write a perfect manuscript the first time is usually like putting the cart before the horse. A good story will survive editing and rewrites and be better for them. One of my favourite ways to make a good story, or interview, better is to inject a little humour into the mix. Let’s try some humour injections now with a few questions from our quick first question round starting with, why isn’t there mouse-flavoured cat food? Given that at least one researcher has actually consumed mice in an attempt to explain the healthy state of wild dogs (or was it wolves?) who solely consumed them during certain times of year, I honestly cannot say. Maybe the better question in that situation is why would a researcher eat mice to prove why wolves are healthy when wild dogs have different digestive systems than humans? Keeping those digestive systems in mind, why is lemon juice made with artificial flavour and dishwashing liquid made with real lemons? Perhaps because naturally occurring lemon juice is acidic and couldn’t be consumed in its current quantities without damaging the human digestive system. Hmm, maybe that is it! If you invented a monster what would it look like and what would you call it? It would be slimy, with several spindly legs and a long tail. Different colored eyes would let it see different things (sort of like how colored glasses help humans see in bright snow, etc.). I wouldn’t know what to call it, though, until I knew more about the story it was in. That sounds awesome! You need to write about the untitled slimy beast next! If you’re in a vehicle going the speed of light, what happens when you turn on the headlights? I think that depends on whether the headlights are projecting white light, ultraviolet light, etc. I wonder if the slimy beast would be able to see those different light spectrums well if they were in the vehicle going the speed of light? Maybe, it’s something to consider in the slimy create tale. Something else you could also consider is what happens if Batman gets bitten by a vampire? The vampire will choke on Batman’s ego and die. Poor vampire, that sounds like a pretty bad way to go. Are you left or right-handed? According to one theory, you’ll only be 1/4 alive. And under another, you’d already be dead. Which is true, or is both true under different circumstances? Hopefully, we’ll never find out. Instead, maybe we can find out about magical powers of TEFLON. If nothing ever sticks to TEFLON, how do they make TEFLON stick to the pan? A chemical reaction bonds it to the metal? I think you have it. If you could breed two animals together to defy the laws of nature what new animal would you create? A bird with teeth so they can stand their own against more predators. *Laughs* I’d like to see that! What is your favourite word? Solid choice. And finally, I wonder if we’ll see a little of that peace reflected in our final question of today, where I hope that you can share your favourite line from ‘Silver Princess’. What is the best example of your craftsmanship in this book? Royal blood is no guarantee of character. Nobility is a quality that each of us must earn. It can neither be bestowed with title nor inherited with wealth. Great quote. Lea, I hope you see more nobility earnt through your writing as you continue on the eighth and ninth books in the ‘Silver Princess’ series. Excited to read the book we discussed today? Find it here on Amazon: ‘Silver Princess ( ASIN: B009FFPQW8 )‘. 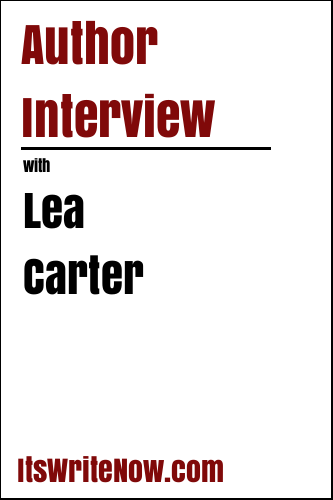 Want to find out more about Lea Carter? Connect here!